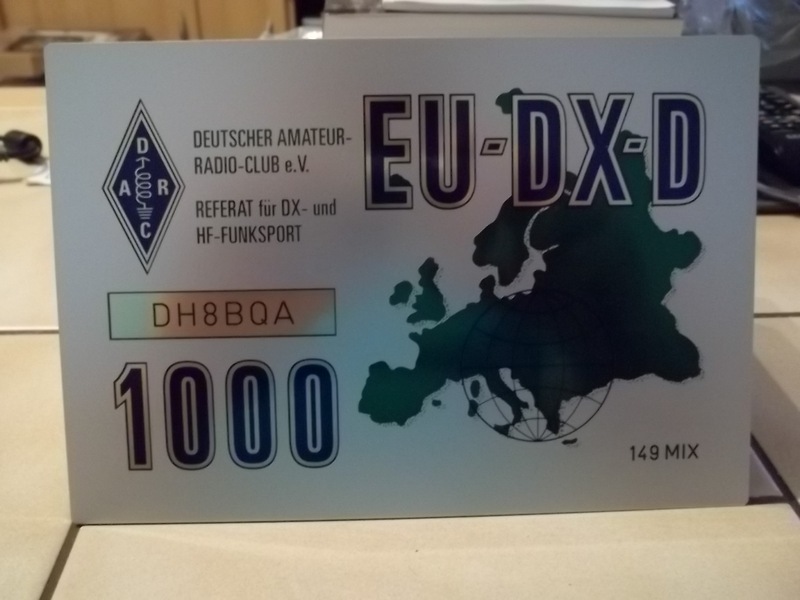 Thanks to the superb award application possibilities of DCL I was able to apply for my EU-DX-D trophy electronically, using confirmations from DARC contests as well as LotW. 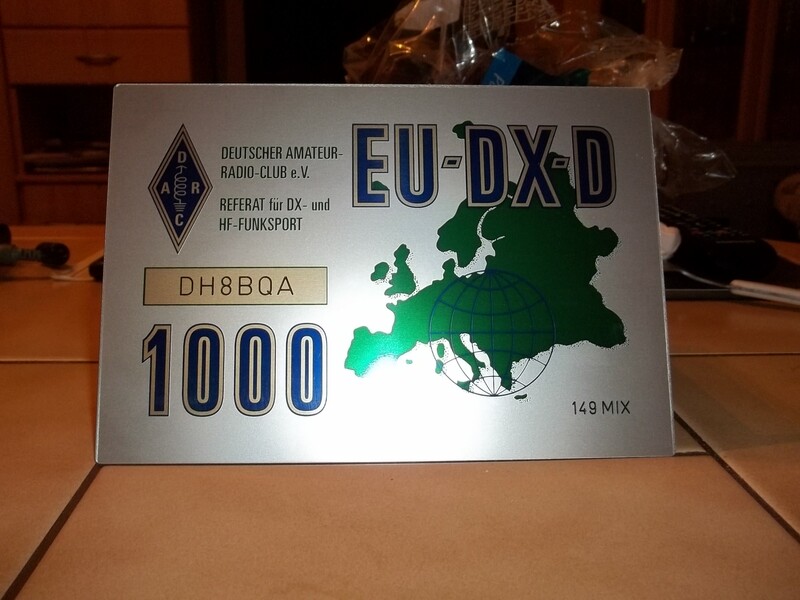 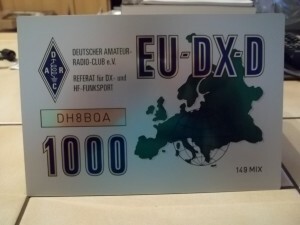 Dietmar, DL3DXX, who’s not only a well known DXer and DXpeditioner but also the EU-DX-D award manager, did a fast job to let the plaque being engraved and sent over to me. Received it last Saturday, thanks Dietmar!